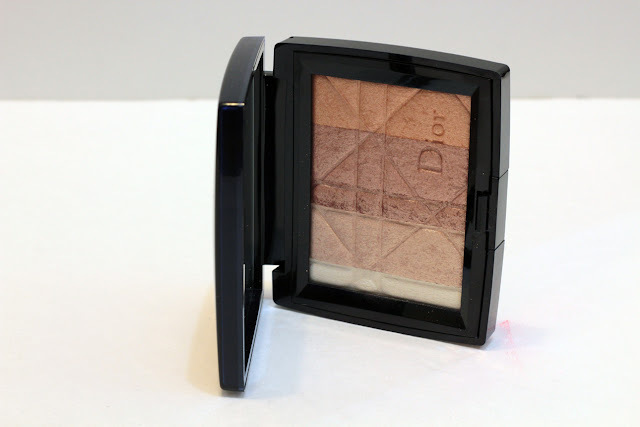 Today's giveaway is a highlighter that I have recently become infatuated with, it's the Dior Amber Diamond. I was on the fence about this product for the longest time, but now that I've been using it, I can see what all the hype is about. It's a superb highlight that looks natural without looking heavy, cakey, or overdone. The gold / bronze shades are incredibly flattering on the skin. I love the glowing sheen it provides without looking over the top. The colours look great on the eyes, so it's multipurpose, too! You get quite a bit of product in this, about 10 grams. Since you don't need a lot of product, this will last you forever (or at least a very long time). If you'd like to win my favourite highlighter of the moment, the Dior Amber Diamond, just enter below. 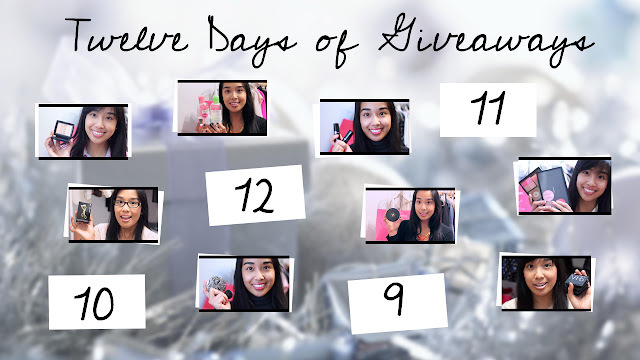 All you need to know is that this giveaway is open worldwide and it will end on December 11th, 2012 at 12:00 AM EST. The winner will be contacted via email. Plus, I will announce the winner here and on facebook / twitter. The Day 1 winner didn't end up emailing me back, so, I used Rafflecopter to randomly draw a new winner (Taylor S.). I've sent them an email and am just waiting for a reply. Sadly, I use cheap ones..
the topshop ones are brilliant! I've been using the Jemma Kidd highlighter in Ice but it's been discontinued. The body shop liquid highlighter! I currently use either NARS Illuminator in Copacabana or NARS Albatross, but I have mixed feelings about the two! I love a highlighter I found at Everyday Minerals called Aussie Pick me up. Its a great super pearly shade that reflects like like crazy, but you have to use it sparingly! Its also very affordable. I actually have never tried a highlighter before but I would love to try it. I dont have a fav highlighter yet! I currently don't have a highlighter yet :(. Benefit high beam is what I have used in the past! Would love to try this one! I actually don't have a highlighter & never used one :( so this will be a treat! I never tried using a highlighter. The only highlighter I've tried is Mac's "By Candlelight." I use a EDM highlighter and sometimes the pari beauty one I got in my topbox! i've never used a highlighter before! I've never tried one, don't know where to start! mac soft and gentle ! I'm really liking one from NYX! I've never tried a highlather. I love Benefit's Girl Meets Pearl! i love this highlighter too! Mac msf's are some of my favs! Don't have a favourite highlighter... maybe this will be it! I really like Benefit's High Beam! The one in the Nars blush palette. ••••••••••••••••••••••••••••••••••••••••• I love ELF's Golden Bronzer. Funny how it's called bronzer since all the shades are pretty light, but it has really great warm-tone highlights! I don't have any highlighters. Would love to win this! I've only started using a highlighter and have a Laura Mercier one. My favourite highlighter is MAC Too Chic. I actually don't own a highlight. Now I do want one. I actually don't have a highlighter, though I use light eyeshadows sometimes if I want a bit of highlight. I'm currently using my Dior Lace Highlighter! I am really loving Lush's Feeling Younger! I don't have a highlighter at the moment. I actually don't have a highlighter! The elf warm bronzer is actually an amazing highlighter ! I was so impressed! I have been LOVING Tarte's highlighter in Angelic! It's a gold color but it's so gorgeous! My favorite (and only) highlighter is Benefit's High Beam. It's shimmery, and I use it sparingly. If I want a more subdued highlight though, I just use a bit of Virgin and Sin from the Naked pallete. I've been using Bootycall from the Naked2 palette as my highlighter lately. I'd love to see how well this works. I use benefit high beam right now! I'm currently using the teint miracle instant retouch pen from Lancome as my highlight and it works beautifully! I just use light eyeshadow from Sephora! I usually use Hard Candy's blush in Honeymoon! I have yet to try a highlighter! Am not using one at the moment, though I've heard rave reviews about this one! I am currently using Benefit high beam! I actually don't have a favourite highlighter! I've been dying to try this one though! I do not own a ton of highlighters because I don't use them on a daily basis so I have just been using the NARS Hungry Heart that came in the Danmari palette! I've never found a highlighter that has looked great on me. My favourite highlighter is benefit watts up! So lovely! I use High-beam, but those colours look amazing! Love multi-purpose items for travelling too. It's Mary Lou-manizer for me! I really like using Physician's formula blush because it has a built in highlight! I don't have a favorite, but I love other Dior products so I think I would probably like their highlighter too!